Mercy Care has been working with Segars Group for well over 15 years. As a non-profit organization offering health care services to the poor and underserved in Atlanta we are always challenged to fund capital projects. 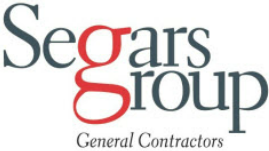 Segars has been the general contractor on three major projects including the construction of our main facility. All of their work has been of the highest quality with a keen focus on managing the projects to very tight budgets. They have been chosen to be the general contractor for our newest project in Chamblee which will be a $14 million medical facility. Saint Joseph’s Health System, Inc.